Adini, I. *, Adini, A., Bazinet, L., Watnick, R. S., Bielenberg, D. R. and D'Amato, R. J. (2015). Melanocyte pigmentation inversely correlates with MCP-1 production and angiogenesis-inducing potential. FASEB J 29(2): 662-670. Panigrahy, D., Adini, I., Mamluk, R., Levonyak, N., Bruns, C. J., D'Amore, P. A., Klagsbrun, M. and Bielenberg, D. R. (2014). Regulation of soluble neuropilin 1, an endogenous angiogenesis inhibitor, in liver development and regeneration. Pathology 46(5): 416-423. Adini, I. *, Ghosh, K., Adini, A., Chi, Z. L., Yoshimura, T., Benny, O., Connor, K. M., Rogers, M. S., Bazinet, L., Birsner, A. E., Bielenberg, D. R. and D'Amato, R. J. (2014). Melanocyte-secreted fibromodulin promotes an angiogenic microenvironment. J Clin Invest 124(1): 425-436. Kontos, C. D. (2014). More than skin deep: connecting melanocyte pigmentation and angiogenic diseases. J Clin Invest 124(1): 76-79. Adini, A., Adini, I., Ghosh, K., Benny, O., Pravda, E., Hu, R., Luyindula, D. and D'Amato, R. J. (2013). The stem cell marker prominin-1/CD133 interacts with vascular endothelial growth factor and potentiates its action. Angiogenesis 16(2): 405-416. Gerald, D., Adini, I., Shechter, S., Perruzzi, C., Varnau, J., Hopkins, B., Pravda, E., Kurschat, P., Klagsbrun, M., Prendergast, G. C., Stuhlmann, H., Rigby, A. C., Nagy, J. A. and L. E. (2013). Benjamin nuclear RhoB-VEZF1 complex regulates the differential response of blood versus lymphatic endothelium to stress. Nat Commun 4:2824. Rogers, M. S., Adini, I., McBride, A. F., Birsner, A. E. and D'Amato, R. J. (2013). The albino mutation of tyrosinase alters ocular angiogenic responsiveness. Angiogenesis 16(3): 639-646. Spivey, K. A., Chung, I., Banyard, J., Adini, I., Feldman, H. A. and Zetter, B. R. (2012). A role for collagen XXIII in cancer cell adhesion, anchorage-independence and metastasis. Oncogene 31(18): 2362-2372. Greenberger, S., Adini, I., Boscolo, E., Mulliken, J. B. and Bischoff, J. (2010). Targeting NF-kappaB in infantile hemangioma-derived stem cells reduces VEGF-A expression. Angiogenesis 13(4): 327-335. Greenberger, S., Boscolo, E., Adini, I., Mulliken, J. B. and Bischoff, J. (2010). 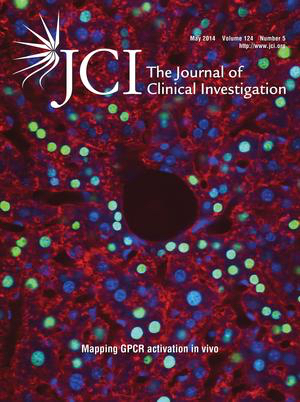 Corticosteroid suppression of VEGF-A in infantile hemangioma-derived stem cells. N Engl J Med 362(11): 1005-1013. 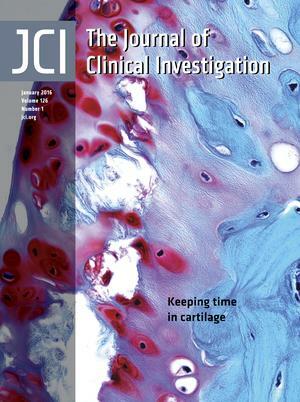 Sun, J., Hopkins, B. D., Tsujikawa, K., Perruzzi, C., Adini, I., Swerlick, R., Bornstein, P., Lawler, J. and Benjamin, L. E. (2009). Thrombospondin-1 modulates VEGF-A-mediated Akt signaling and capillary survival in the developing retina. Am J Physiol Heart Circ Physiol 296(5): H1344-1351. Fainaru, O. *, Adini, I. *, Benny, O., Bazinet, L., Pravda, E., D'Amato, R. and Folkman, J. (2008). Doxycycline induces membrane expression of VE-cadherin on endothelial cells and prevents vascular hyperpermeability. FASEB J 22(10): 3728-3735. Benny, O., Fainaru, O., Adini, A., Cassiola, F., Bazinet, L., Adini, I., Pravda, E., Nahmias, Y., Koirala, S., Corfas, G., D'Amato, R. J. and Folkman, J. (2008). An orally delivered small-molecule formulation with antiangiogenic and anticancer activity. Nat Biotechnol 26(7): 799-807. Fainaru, O., Adini, A., Benny, O., Adini, I., Short, S., Bazinet, L., Nakai, K., Pravda, E., Hornstein, M. D., D'Amato, R. J. and Folkman, J. (2008). Dendritic cells support angiogenesis and promote lesion growth in a murine model of endometriosis. FASEB J 22(2): 522-529. Pakneshan, P., Birsner, A. E., Adini, I., Becker, C. M. and D’Amato, R. J. (2008). Suppression of vascular permeability and corneal angiogenesis by non-steroidal anti-inflammatory drugs. Investigative Opthalmology and Visual Sciences 49(9): 3909-13. Adini, I., Ephros, M., Chen, J. and Jaffe, C. L. (2003). Asymptomatic visceral leishmaniasis, northern Israel. Emerg Infect Dis 9(3): 397-398. Adini, I., Rabinovitz, I., Sun, J. F., Prendergast, G. C. and Benjamin, L. E. (2003). RhoB controls Akt trafficking and stage-specific survival of endothelial cells during vascular development. Genes Dev 17(21): 2721-2732. Baneth, G., Dank, G., Keren-Kornblatt, E., Sekeles, E., Adini, I., Eisenberger, C. L., Schnur, L. F., King, R. and Jaffe, C. L. (1998). Emergence of visceral leishmaniasis in central Israel. Am J Trop Med Hyg 59(5): 722-725. Adini, I., Jacobson, R. L., Kasap, M., Schlein, Y. and Jaffe, C. L. (1998). Species-specific detection of Leishmania in sandflies using an enzyme-linked immunosorbent assay. Trans R Soc Trop Med Hyg 92(1): 35-37.